Do you know what is the difference between a Bookkeeper and an Accountant? A bookkeeper is primarily concerned with accurately recording financial data while an accountant is involved with interpreting and reporting that data. We are two friends who have a passion for accounting and bookkeeping and a desire to provide a service that can help business owners save their precious time and gives great value. Each business needs are different and we like to tailor our services to suit your requirements. Teresa is a successful Tax Accountant with her own business and if she had a pound for every time she was asked if she does Bookkeeping she would be very rich! Charmian is an AAT Level 4 and ICB Level IV qualified individual who has a wide range of skills and a particular fondness for bookkeeping. Charmian reached a career cross roads and Teresa approached her with the idea of creating a bookkeeping business. Now Bookkeeping was born. 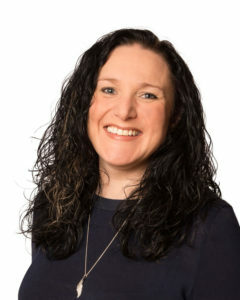 Teresa’s focus has always been on adding value and listening to what her customer needs, whilst looking for suitable, cost effective solutions to accounting and business issues. With her bubbly, yet practical, results-driven approach, you’ll receive the service YOU want. 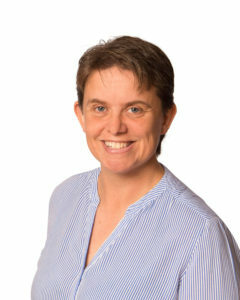 Charmian is a member of the Institute of Certified Bookkeepers. She holds Level IV bookkeeping qualification and the Association of Accounting Technicians Qualification Level 4. Her accounting journey started when she worked her way up from the factory shop floor to become the Assistant Management Accountant within 10 years in a factory in Hilsea, Portsmouth. She left to join Stubbington Green Dental Practice as a Dental Practice Manager, this gave her an opportunity to complete the bookkeeping for the practice while expanding her skills base working with different types of people from her colleagues to the patients. In this time, she obtained her Diploma in Dental Practice Management and her Dental Nursing Diploma. Charmian felt the time was right to return to the accounting industry in 2014 and has since been very fortunate to work for a number of different companies within their accounts departments to help bring her accounting knowledge up to date. Charmian knows how important it is to give value for the services she offers, she knows if she can do the fundamental processes of adding invoices or receipts to a business accounting software she can help the business owner focus on fulfilling orders or growing their sales. Bookkeeping Bites – The Blog….. It can be regarded as a dull introduction, but I always start with explaining the difference between a bookkeeper and an accountant. It’s a question I get asked a LOT. A bookkeeper is concerned with the fundamental transactions of a business – anything that creates a movement in cash or credit. The examples of these are receipts from shops, invoices from Suppliers, invoices to Customers, daily takings from a point of sale and most importantly the bank statements. These transactions are then recorded into a finance “system” for the business owner. At Now Bookkeeping Ltd we have a wide knowledge of the various “finance systems” available to business owners – Spreadsheet (! ), Sage (both accounting packages and payroll), Xero, Quickbooks Online, Moneysoft Payroll Manager, Quickfile, Concur, Agresso, BAAN, Manman. Some are very well known and some not very well known! We recommend Xero and Quickbooks Online because they are very user-friendly to the most important person in the business and that is you the business owner. The Accountant is concerned with the outcome of this record keeping. They will produce the financial reports of the company to the business owner and submit any legally required submissions. From here they can work with the client to offer business and tax efficiencies which are not possible if the record keeping is not up to date. The lines can blur between the functionality of the two roles but if utilised correctly then the service they can provide can be a powerful control and cost saving tool. Because the lines can blur there are some people that believe a bookkeeper is a cheaper accountant and that is certainly not the case. A Chartered qualified accountant is registered, is insured and has to fulfil Continued Professional Education and a Certified bookkeeper is registered, insured and has to complete a series of Continued Professional Development. At Now Bookkeeping Ltd we absolutely embrace the importance of this as Teresa is a Chartered Accountant and I am a Certified Bookkeeper.